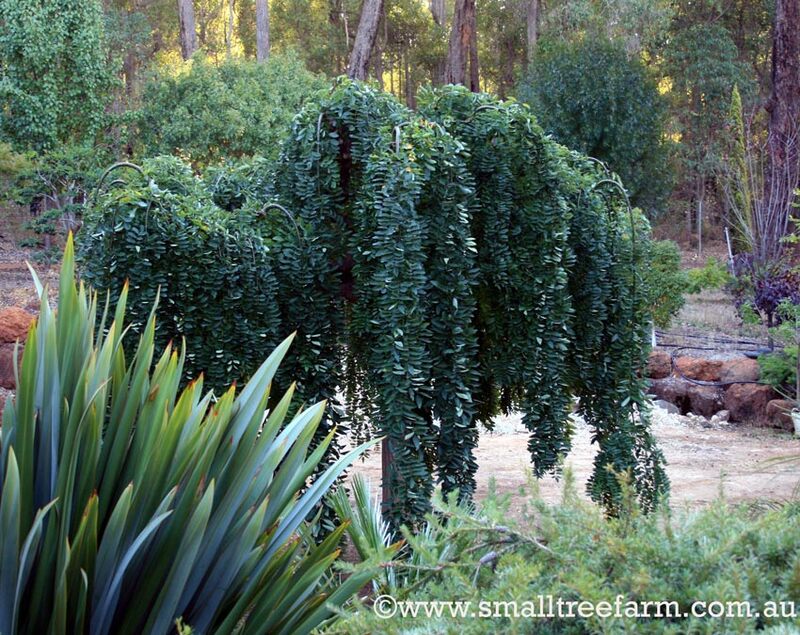 This list describes the weeping trees that we generally grow in our bare root nursery. Due to vagaries of production and demand however not all of the trees listed here will be available every year. Up to 4m. 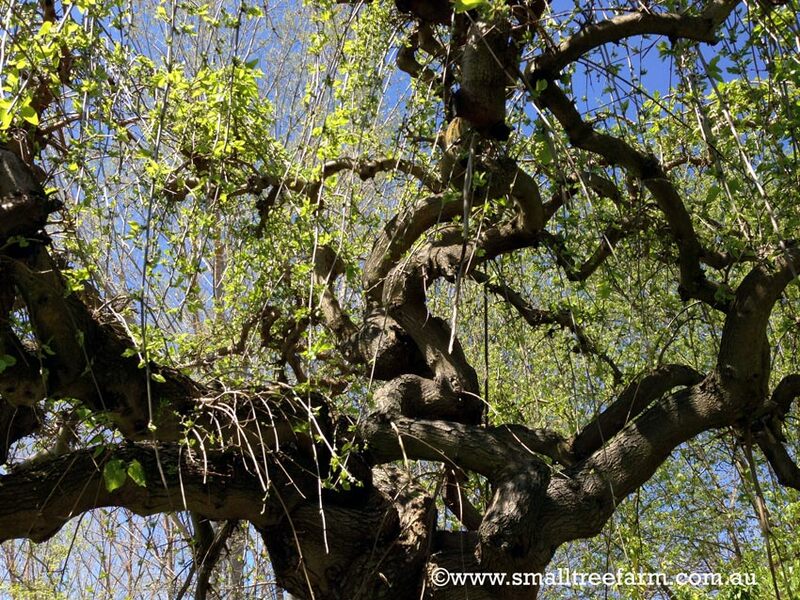 * A grafted classic this tree is a garden staple. Relatively fast growing it creates a waterfall of lush green leaves and pendulous branching that becomes gnarled and twisted as it matures. Very versatile and tough it can handle most soil conditions and is particularly good in coastal environments. Requiring water for its establishment it then becomes quite drought hardy. 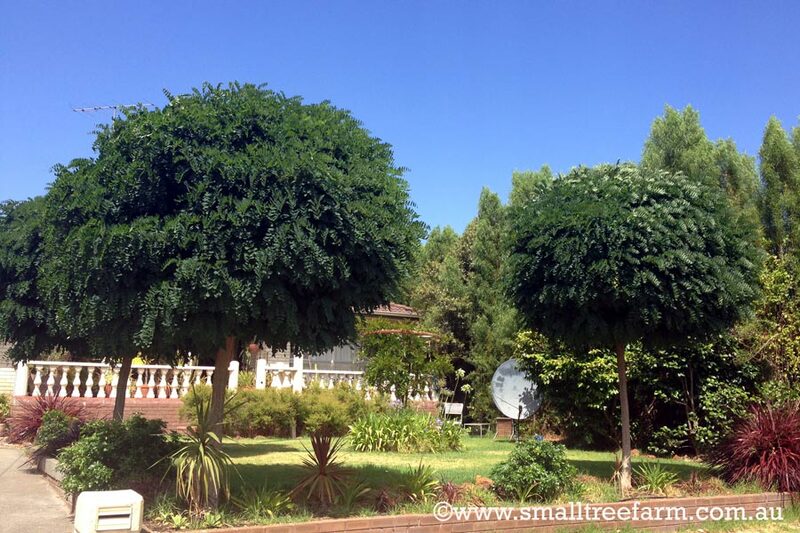 It has very strong surface roots so it shouldn’t be planted too close to pavement or lawns. 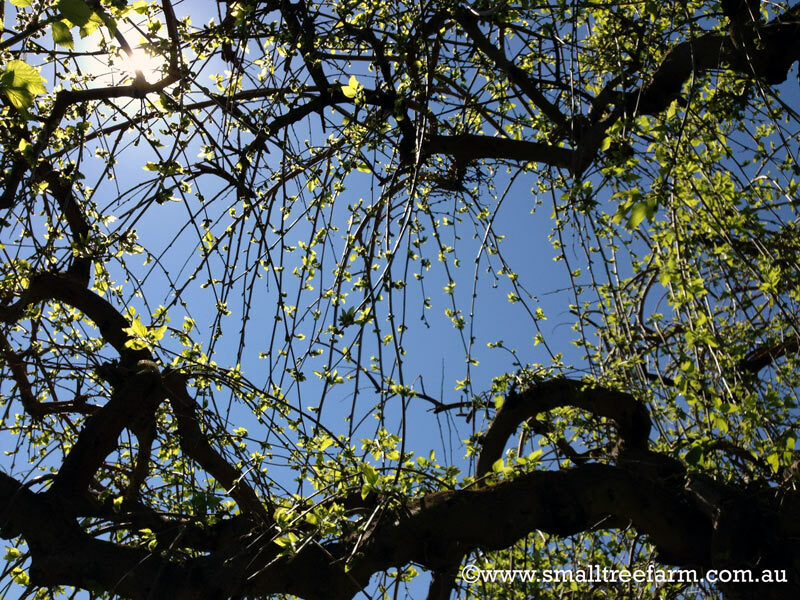 Produces some fruit and is foliage is the silkworm’s favourite. Up to 5m. 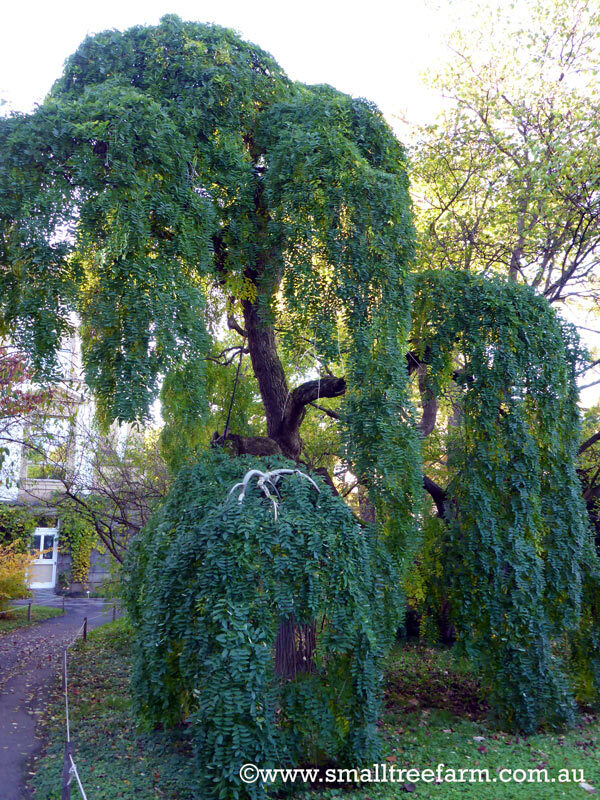 * A picturesque grafted weeping tree with a gnarled trunk and stiff pendulous branching. Lush green cascading foliage is its main attribute as it seldom flowers. Moderately fast yet very long lived the tree gets more twisted and sculptural with age. Tolerant of any free draining soil it withstands most urban pollutions and conditions including heat and dryness once established. 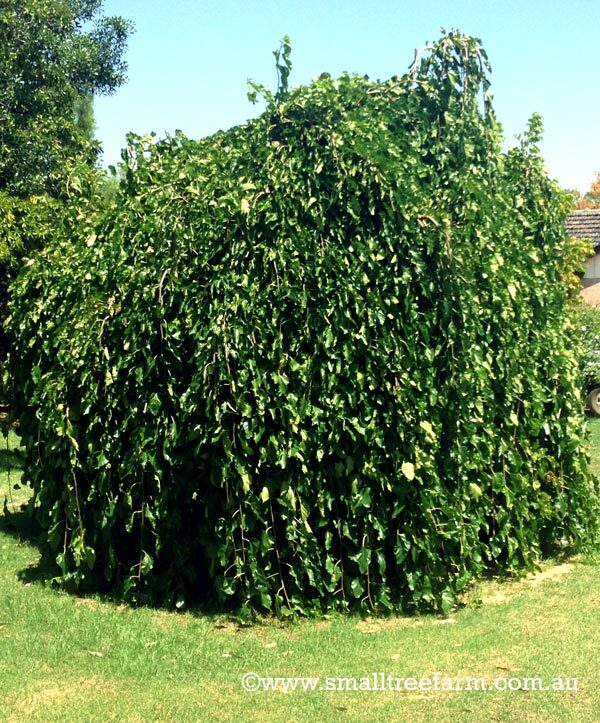 With its non invasive roots it’s definitely a living sculpture or natural arbour that stands out in any landscape and the perfect place to retreat to on a hot summer’s day. 5 x 4m. 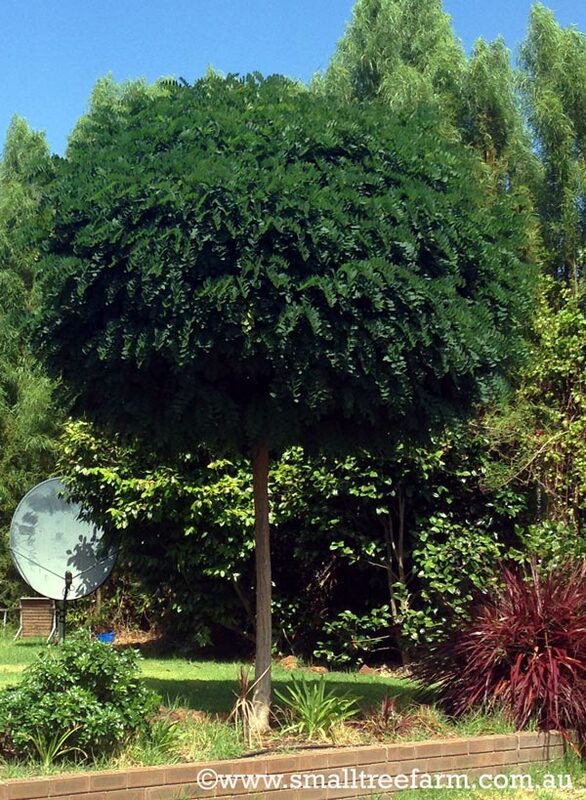 *A very tough compact tree that is a neat rounded lollipop shape. Most famous for its thick lush jade green foliage it throws great deep shade. Perfect for tight spaces like courtyards and urban environments, it can be used repetitively for great formal effect or as feature tree. Although it prefers well drained soils it is very resilient to most soil types, compaction, pollution and coastal areas. It also is drought hardy once established and will not tolerate wet sites. It’s only downfall is its tendency to sucker, being a grafted tree it can throw thorny suckers if the roots are disturbed. This can be minimized with correct placement. Keep it away from lawn areas and garden beds which need to be dug over. Responds well to pruning and can be hedged or clipped if desired.